Dental implants are becoming more popular in today's dental society for a number of reasons. Implants are utilized to offer patients a foundation for new restorative teeth where natural teeth are missing or have been extracted. The implant offers the patient the opportunity to regain normal function of the tooth without being forced to resort to a bridge or a denture. · The implant will osseointegrate (bond) with the existing bone. · The new implant will support your teeth firmly and safely. · Your new implants are aesthetically pleasing. · You will no longer have pain during talking or eating. · The dental implant will prevent progressive bone atrophy. · Implants have a proven scientific basis. Finally, an impression is taken of the implant and a final restoration is crafted. This restoration will be comfortable and cosmetically pleasing.Your completed implant will be fully functional, allowing you to resume normal activities. 1) IS THERE DISCOMFORT INVOLVED? Just as with any surgery, there can be some discomfort; however, anesthetic and patient sedation are used to eliminate any discomfort at the time of the procedure. 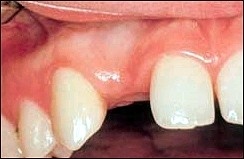 Approximately 95 percent of patients report discomfort of 0-2 on a scale of 0-10 the day after the implants are placed. The doctor will prescribe medications to ease any discomfort that may occur. Special care will be taken to stay in contact with you after the surgery to be sure that you remain comfortable. 2) IS THERE A CHANCE OF REJECTION? The body does not reject a dental implant, as it might a soft tissue transplant, such as a lung, heart or kidney. This does not mean that an implant cannot fail, but it would be due to other factors, such as misalignment, improper force on the implant or other conditions or existing diseases of the patient. Dental implants are made of a material, titanium, that is totally bio compatible(compatible with body tissues) and actually integrates with the surrounding bone and becomes part of the body.Titanium is also being used more and more in the medical field to replace body parts. 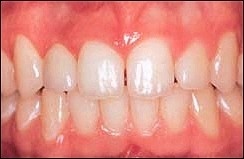 3) WHO IS A CANDIDATE FOR IMPLANTS? Anyone who is missing one or more (even all) of their teeth may be a candidate for implants. If one or a few of the teeth are missing, implants in conjunction with a crown or bridge can replace those teeth and function as normal teeth without losing more bone and being subject to decay. If all or most of your teeth are missing, then implants may be placed to anchor a loose denture. Sometimes, if there is already some bone loss, bone can be added and regenerated or a technique called bone expansion can be used to create a more ideal site for the implant(s). More detailed information and images are available from the treatment menu. Ultimately, a consultation with a dentist who is knowledgeable on these procedures can help determine your individual needs.